ESTON COMMUNITY VILLAGE – BSBA Architects win a major national award. 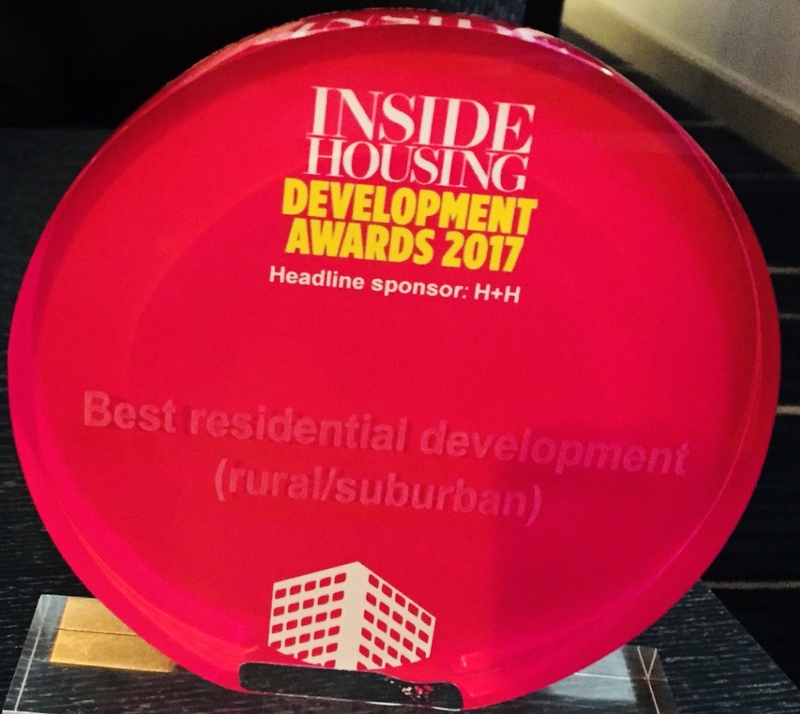 We are absolutely thrilled that Eston Community Village has been awarded “Best Residential Award” at the Inside Housing Development Awards, 2017. 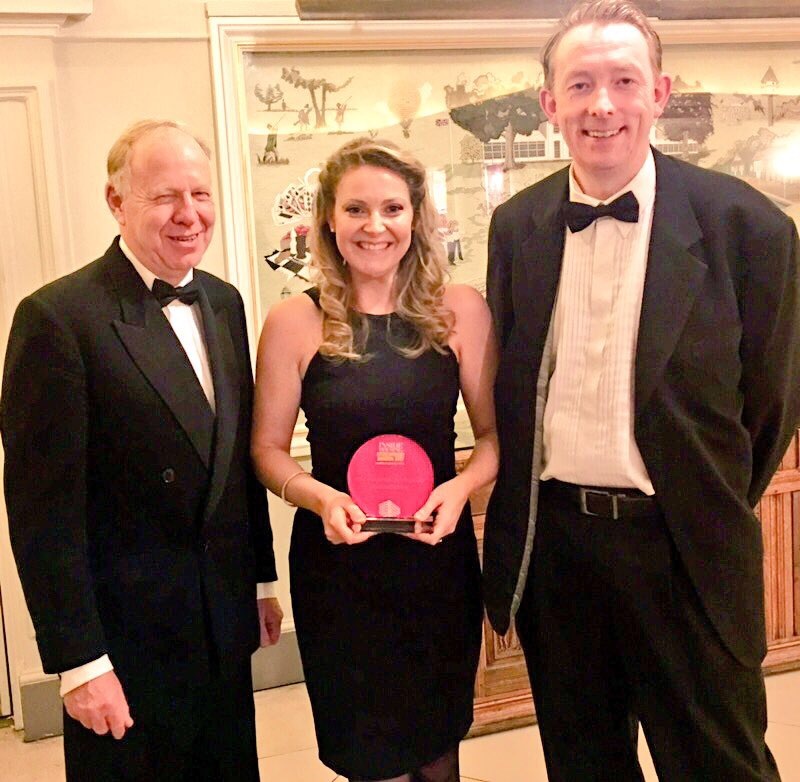 It is particularly rewarding to receive recognition for a project in the N orth East, especially in the company of such high profile developments from across the country. It shows the genuine impact that Eston Community Village has had locally. It is something that we are immensely proud of. The judges view Eston Community Village as a “model for future care developments” and we do too. It’s an accolade that we are very proud of at BSBA Architects. The much celebrated Eston Community Village was shortlisted in two categories: Best Architectural Design and Best Residential Development. 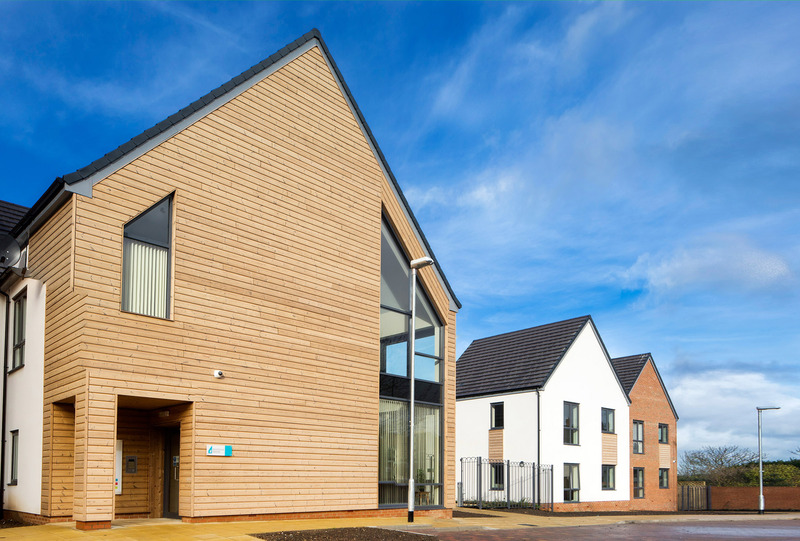 The expert panel of judges chose BSBA Architects for showcasing “Design Excellence.” Eston Community Village has transformed the lives of local residents with dementia, mental health problems and learning difficulties. The design moves away from traditional, institutional care models, challenging perceptions often associated with mental healthby promoting independence within a supportive environment. In our view, this sort of project shows the difference that thoughtful design can make to people’s lives. We are so proud when we hear from residents and their families that residents are enjoying a fulfilling life since they moved into Eston Community Village. The award is the icing on the cake. We’re sure the residents will be proud of it too. The design aims to feel like home. We strive for the very best in supported living. We’ve been able to achieve this with careful design and innovative living solutions that combat loneliness by encouraging social engagement and independence. The residents agree! Many have said that they feel much happier, more secure and that they would recommend it to friends. “Before I came to live here I did not want to get out of bed. Since moving here I get up every day with assistance from the carers. I feel like I see more of life now. I can look through the living room window and see people. All the staff are good and make you feel good and I have a laugh and a joke with them. I go for lunch and sit with people and have a chat. No faults at all, I feel really, really happy.” Eston Community Village Resident. Residents may suffer sensory, mobility or cognitive impairments so details such as natural light, clear signage and direct access to nature take on paramount importance. Creating a village-like atmosphere with bright, cheerful, dignified dwellings makes a huge difference to everyday life. The buildings are easy to navigate which really is vital for dementia sufferers. The homes are modern and convenient with a strong supportive community to encourage independence, activity and self-sufficiency. This can actually help to reduce the need for medication. Traditional settings such as a crescent, courtyard or square provide residents with a familiar, home-from-home atmosphere – so important for dementia sufferers. “A model for future care developments.” A great way to end the year and look to the next one. BSBA Architects and Middleton Hall Retirement Village were thrilled to receive a Silver Green Apple Award for the Built Environment & Architectural Heritage for the Waterside retirement development. The prestigious International Green Apple Awards were launched in 1994 by the Green Organisation and have become established as one of the most popular environmental campaigns in the world. BSBA Architects competed with well over 100 other nominees from different countries and was presented with the Silver Award at a ceremony in the super-sustainable venue The Crystal, in London. This award comes just a few months after the same project was featured on the Zero Carbon Hub as an excellent example of zero carbon living. The Waterside is believed to be the first zero-carbon retirement development in the UK, offering 37 spacious, carbon-neutral, independent-living bungalows within the picturesque grounds of the award-winning Middleton Hall Retirement Village. 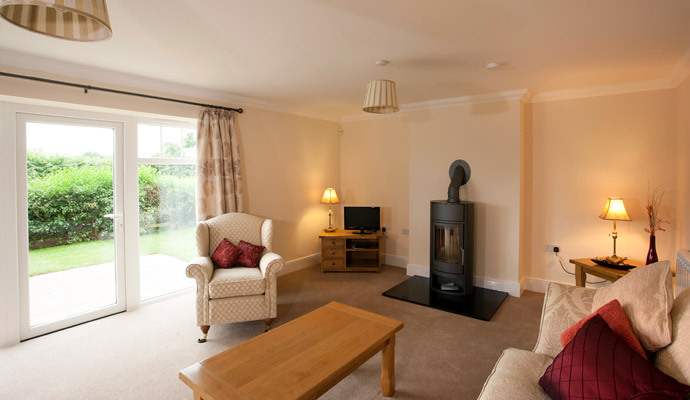 Each super-insulated bungalows is fitted with wood-burning stoves, triple-glazed windows and benefits from electricity generated by on-site solar panels. The innovative BSBA Architects designs address the reputation of low-carbon buildings for only delivering theoretical energy savings. The development is already using less energy than is generated on site, resulting in homeowners receiving zero-energy bills in their first year – with some being handed back more than £125! The Waterside creates an excellent sustainable model for care villages and healthy, green living in older age. At a time when the UK requires housing stock to be freed up for families, The Waterside is helping to change the perception of retirement villages, offering older residents bright, cheerful and dignified homes in a supportive community that prolongs independent living. We are pleased to announce that foundations have been laid for our housing scheme in Eston Community Village which will provide the necessary homes and facilities to extend the care and support offered from Barnaby House Extra Care to people with dementia, mental health problems, and learning difficulties. The scheme was developed in response to identified local need for bright, high quality, modern homes that offer people with dementia and mental health problems a chance to live in a thriving, community environment. The development aims to significantly improve quality of life by allowing persons to live within their abilities, be safe and feel safe and create stimulating settings for daily activities. Barnaby House Extra Care currently offers care and support to over 55’s with services and social opportunities including a lounge, bistro, hair and beauty and a chiropodist. The new scheme will add 36 apartment homes and 13 bungalows for older persons spread across four buildings. Designed to be homes from home, the new apartments will feature an open plan kitchen, dining, lounge area, bathroom and access to a large and welcoming communal area. Each distinctive home is arranged in familiar built forms to benefit residents with cognitive dependencies, with a range of safe and secure outdoor spaces with sensory cues including a courtyard, crescent, street and square. Supported housing choice has also been extended to allow partners to stay together should one develop the need for a higher level of care. The projects target completion is early 2016, early feedback suggests that the scheme has already won hearts and mind. 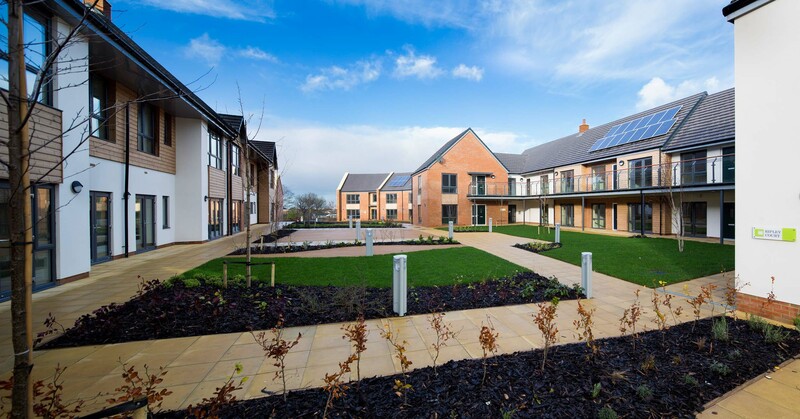 We are delighted to hear that our work on The Waterside Development, Middleton, has been featured on the Zero Carbon Hub website. Celebrations are in order after learning that some homeowners have received zero energy bills in their first year of living at the development – with some being handed back more than £125! Established in 2008, Zero Carbon Hub is a non-profit organisation which takes responsibility for ensuring that the government’s target of delivering zero carbon homes from 2016 is met. The Hub works with the government and industry, focusing on raising building standards and reducing risks when implementing zero carbon policies. 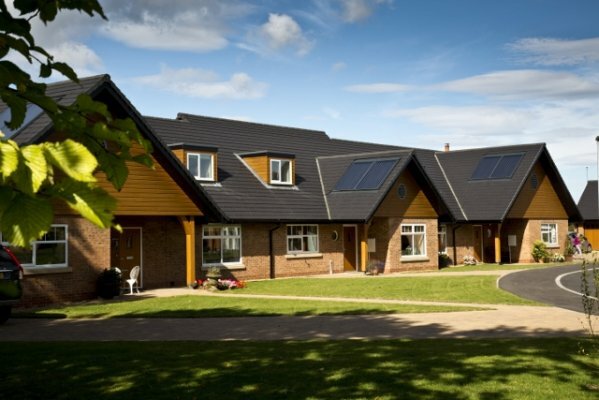 Set within the grounds of Middleton Hall Retirement Village, residents can enjoy being surrounded by 17 acres of beautiful woodland and wetland and reap the benefits of their house’s eco credentials. “Low carbon homes have a reputation for not achieving their projected energy savings. The projections showed it was possible but we made a point of not telling buyers in case they did not perform so well in practice. To hear that some are getting back as much as £125 is fantastic. Each of the 37 bungalows are fitted with wood burning stoves, triple glazed windows and thick insulation and benefit from electricity generated from individual PV (photovoltaic) panels. According to National Home Energy Rating Software, the highly insulated properties’ energy use for heating, hot water, lighting, cooking and appliances should be balanced by the electricity generated and income from the Feed-in-Tariff. We’re so pleased to hear that the clients love the designs and are able to save money on their energy bills. Everybody involved is looking forward to the final Phase 5 to be completed in 2016. The Zero Carbon Hub closed for business on 31st March 2016 but the information on the website is still accessible to all. Last week we were delighted to hear that we have won a prestigious Green Apple Built Environment Award for our work on the Waterside Development, Middleton. We will be presented with our trophy and certificate at a presentation ceremony in the Crystal, London on Monday, August 8. The Waterside development features 36 zero-carbon, independent-living, retirement bungalows with a variety of picturesque character areas featuring garden and lakeside settings. It has already been awarded the 2015 Bricks Award for Development of the Year and is soon to be featured on the Zero Carbon Hub. The Green Apple Awards began in 1994 and have become established as the country’s major recognition for environmental endeavor among companies, councils, communities and countries. The Awards are organised by the green organisation, an independent, non political, non activist, non-profit environment group dedicated to recognising, rewarding and promoting environmental best practice around the world. If you know a company, council or community that deserves recognition for its environmental efforts, you can nominate them for a Green Apple Award by telephoning 01604 810507. In 2014, the care minister suggested that there could be a role for CCTV in care homes, after a BBC panorama documentary revealed poor and sometimes violent treatment of pensioners in a care home in Essex. The BBC reports that more than a third of care homes that had been handed warning notices since 2011 still did not meet the basic standard required. These claims of abuse came from both private and public sectors, with fingers generally pointed at managers. At BSBA, one of our specialties is designing supported housing for older persons so we sat down to discuss the role building design can play to prevent abuse happening in new schemes and what’s needed to give managers the best chance of creating and maintaining caring communities. Policing by CCTV may make staff accountable, but cameras won’t encourage mutual respect between carer and patient. The cost of helping prevent abuse, neglect and theft will be an unacceptable indignity for residents in their own private rooms. What’s needed to give managers the best chance of creating and maintaining caring communities? – We like working with regulatory design standards, but not at the expense of professional judgement. Managers need schemes that are aspirational and go beyond what’s acceptable. – Good Buildings come from good design processes owned by housing professionals, not accountants. – Saving money on communal spaces and staff areas won’t create the lively, stimulating work environments that attract the right people and tell management and carers the work they do is valued. At BSBA we take every opportunity to help improve housing and deliver the required physical and economic regeneration through housing programmes. So we were delighted with the news that an Architect’s collective became the first “non-artists” to win the prestigious Turner Prize with an urban regeneration project. Not only does the project demonstrate the creativity of good architects but highlights the need to tackle urban dereliction, to increase quality of life by using art and design which improves physical and social environments. Assemble draw on long traditions of artistic and collective initiatives to offer an alternative to how societies can work. We hope that it’s the start of many similar projects in the future.